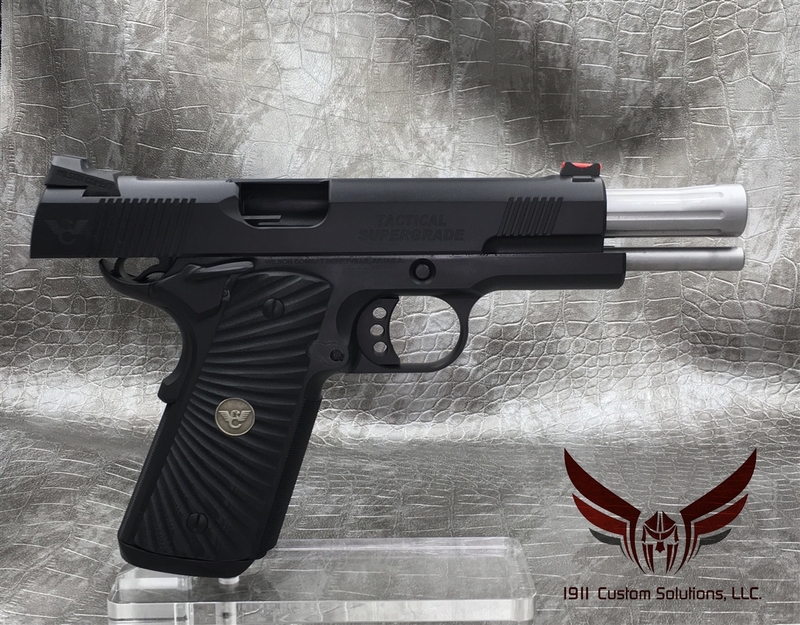 The Tactical Supergrade is a combination of breathtaking aesthetics and functionality within a single pistol. 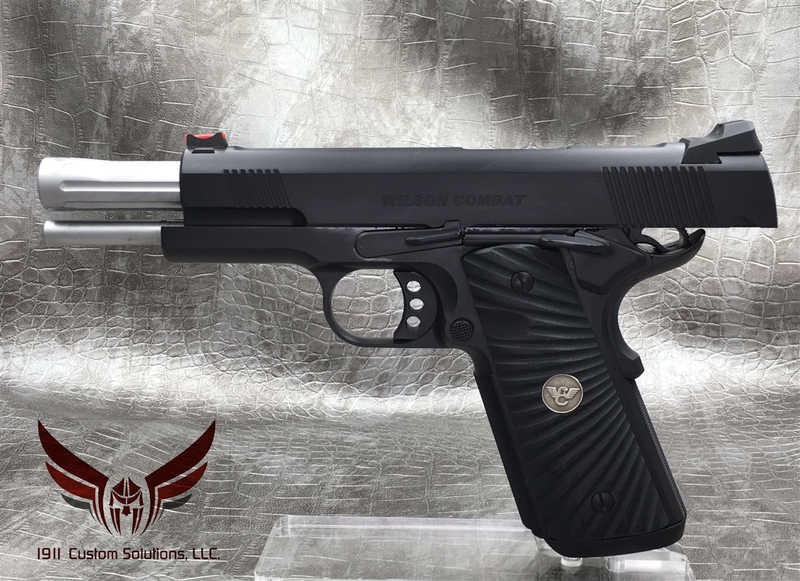 With the beauty and workmanship that have made the Wilson Combat® Supergrades the standard to which all other custom pistols are compared, the Tactical Supergrade is handcrafted from carbon steel for use as the ultimate defensive handgun. 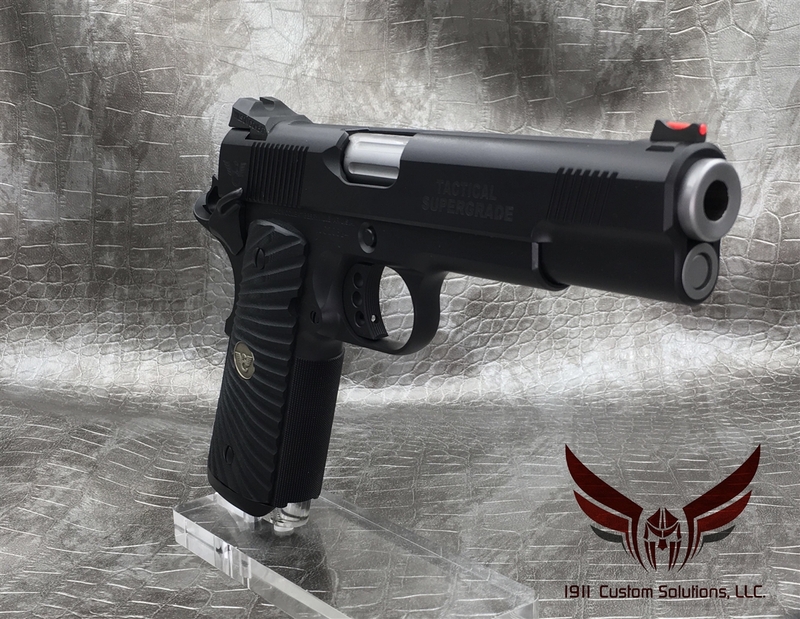 The Tactical Supergrade sophisticates the world of handguns, and is the finest full-size defensive pistol in today's market. 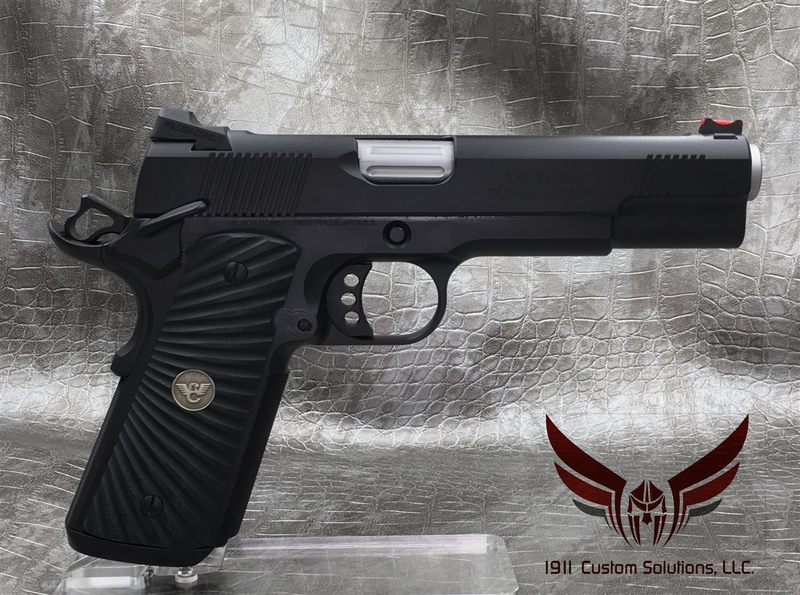 If you're the discerning individual who requires only the finest in quality materials, design, and craftsmanship, this is the pistol for you. Accept no les than the finest custom 1911 pistol made! 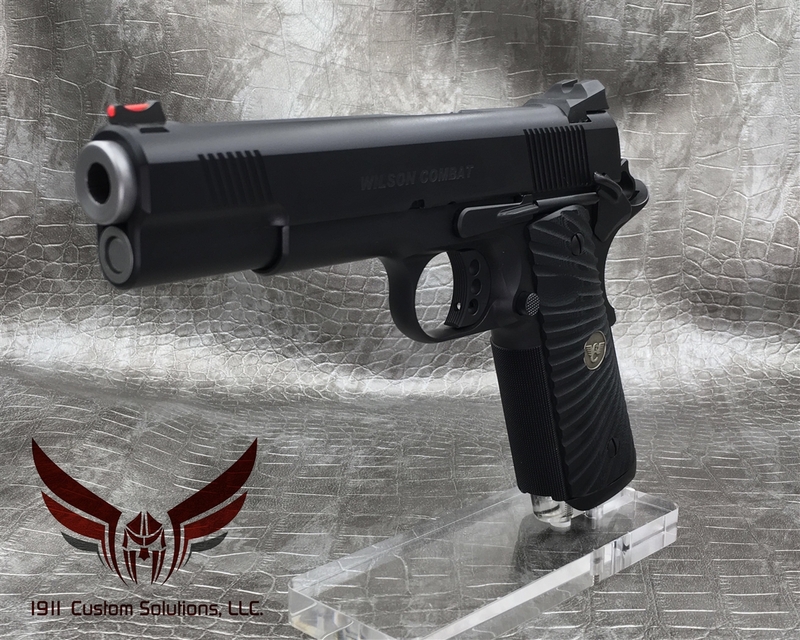 The pistol has an accuracy guarantee of 1" at 25 yards. 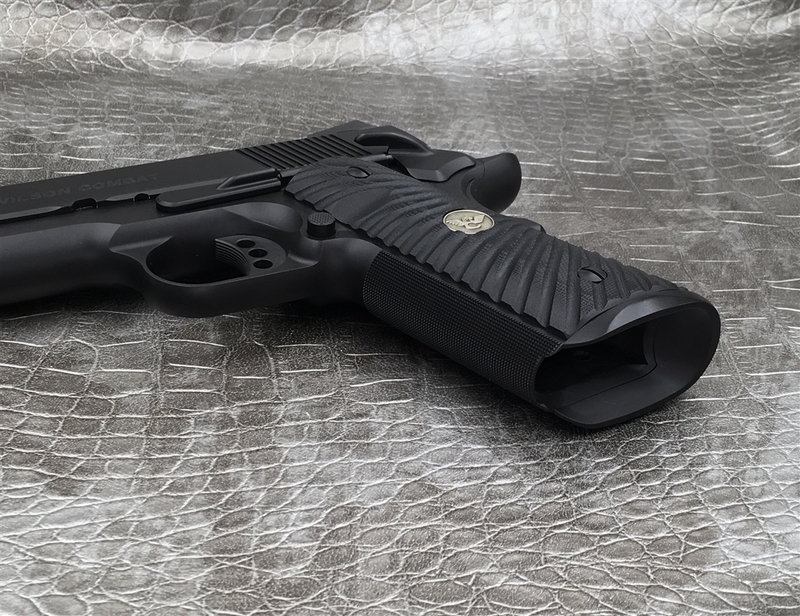 2.29 pounds empty. 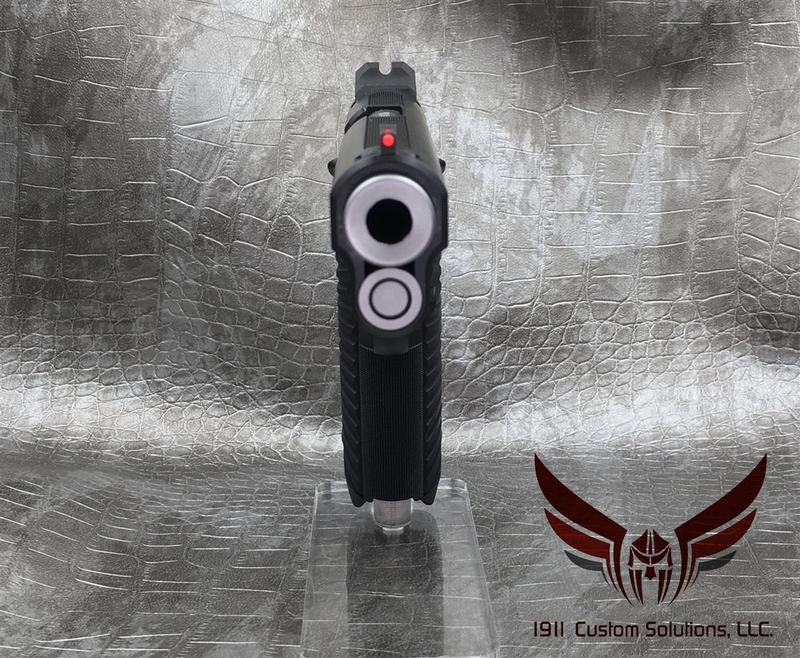 Chambered in 9MM. 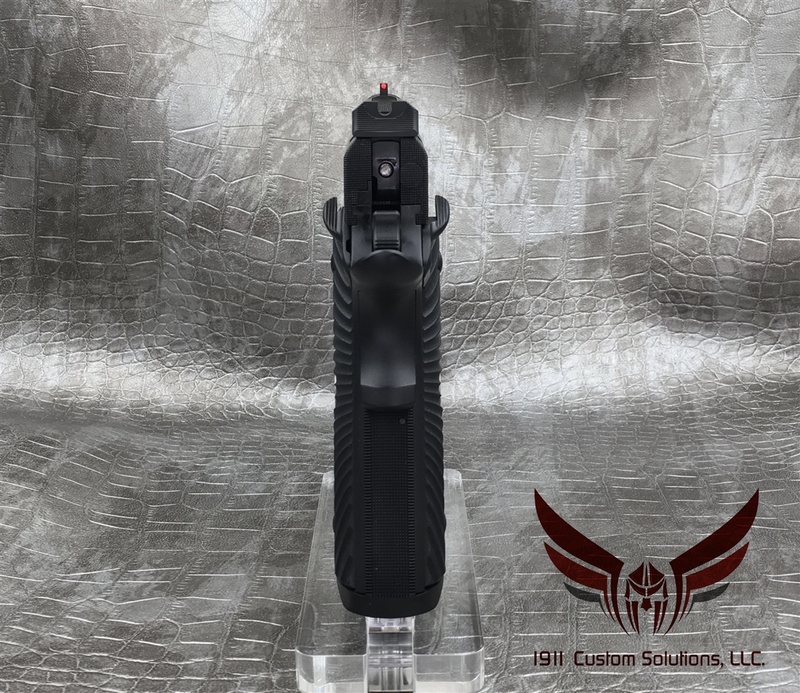 ** The average wait time to commission and receive a full custom Tactical Supegrade is more than 3 1/2 years long ** This brand new 2018 model is custom built to exact specifications and is loaded with upgrades.